Developed by international trade specialists and economists, Export.gov helps SMMs succeed in today’s global marketplace by providing market intelligence, practical advice, and business tools. The organization collaborates with 19 US Government agencies to help SMMs and others navigate the maze of government regulations and get answers to questions while providing expert knowledge in international sales. IMCP was established to promote and facilitate collaboration among private and public sector stakeholders in U.S. manufacturing communities. It supports growth in the US manufacturing sector, the creation of new jobs, regional economic growth, and workforce development initiatives. 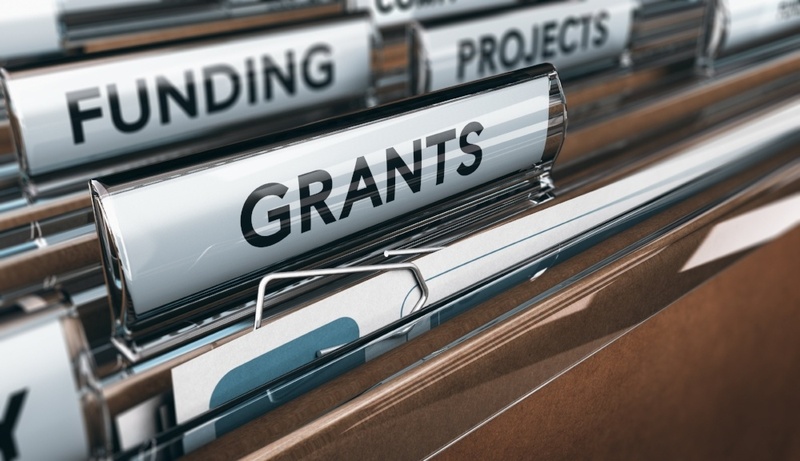 Through IMCP, the federal government is rewarding best practices—coordinating federal aid to support strong development plans within communities and synchronizing grant programs across multiple departments and agencies. Manufacturing USA brings together industry, academia, and government partners to increase US manufacturing competitiveness and economic growth. Today, it has established 14 manufacturing innovation institutes, from ARM (Advanced Robotics Manufacturing) to LIFT (Lightweight Innovations For Tomorrow). These institutes are public-private partnerships with a technology focus and a common goal: to secure the future of manufacturing in the United States through innovation, education, and collaboration. MEP (Manufacturing Extension Partnership) is focused on helping SMMs thrive in today’s technology-driven economy. MEP’s foundation is built upon partnership, with centers across the country designed to connect manufacturers with government agencies, trade associations, universities and research labs, state and federal initiatives, and a host of other resources to help them grow and innovate. In 2017 alone, the MEP National Network connected with 26,313 manufacturers, leading to $12.6 billion in sales, $1.7 billion in cost savings, $3.5 billion in new client investments, and helping to create and retain more than 100,000 U.S. manufacturing jobs. This nonprofit organization believes that the US has everything it needs to succeed in manufacturing—from world-class universities and national laboratories to leading firm and entrepreneurs—but lacks long-term thinking and coordination. To remedy the situation, MForesight identifies essential R&D areas and tools to enable manufacturing readiness, solves implementation issues for SMMs by finding replicable, affordable, and scalable technology solutions, and educates on technology policy to strengthen US competitiveness. The goal of the NRI is to accelerate the development and use of robots that work beside or cooperatively with people. Research and applications emphasizing the importance of such co-robots (or cobots) working with human partners is supported by multiple agencies of the federal government including the National Science Foundation (NSF), the National Aeronautics and Space Administration (NASA), the National Institutes of Health (NIH), the U.S. Department of Agriculture (USDA), and the U.S. Department of Defense (DOD). The purpose of this program is the development of the next generation of robotics and to advance their capabilities. A government-wide program let by the US Department of Commerce, SelectUSA’s mission is to facilitate job creation throughout the country. To date, the organization has facilitated over $45 billion in investment, resulting in the creation and retention of tens of thousands of US jobs. In addition, SelectUSA helps companies of all sizes—from startups to multinationals— find the information they need to make decisions, connect to the right people at the local level, and navigate the federal regulatory system. Originally developed by the U.S. Department of Commerce, the Sustainable Manufacturing Clearinghouse was created to provide U.S. companies with a central portal for information on programs and resources that can assist in enhancing competitiveness and profitability in environmentally sustainable ways. It includes approximately 800 federal, state, and non-governmental resources including case studies, compliance assistance, financial assistance, general information, how-to guides, metrics and assessment tools, research, tax incentives, technical assistance, training opportunities, and voluntary or partnership programs. That’s just eight of the many organizations available to help SMMs get started or grow; be sure to also check their sites for upcoming events and webinars. If you’re looking for another type of organization, and not finding what you want online, you can always reach out to MEP or SelectUSA for advice and assistance. With competition on the rise and technology continuing to advance, you’re encouraged you to take advantage of all the resources available to you to keep US manufacturing strong!